Brasserie Dubuisson was created in 1769 by Joseph Leroy. 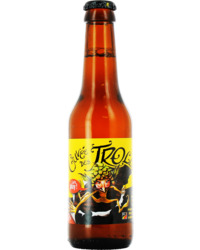 It is one of the Belgium’s oldest breweries and still entirely independent. In 1769, Joseph Leroy acquired his independence as a farmer-brewer. At the time, brewing was much less developed than today and beer production was intended for farm workers and villagers. It was not until 1931, that Alfred Dubuisson decided to concentrate on brewing. In partnership with his brother, Amédée, he bought the farm brewery from his parents, to sow the seeds of the Brasserie Dubuisson Frères. 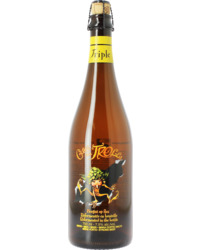 In 1933 Alfred created an authentic Belgian gourmet beer in the English style which was very fashionable at the time. 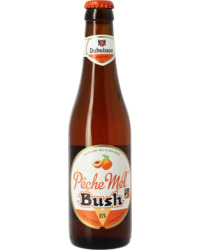 He named his beer Bush, the English translation of Dubuisson. Unchanged since its birth over 80 years ago, it is one of Belgium’s oldest brands. 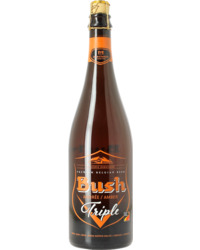 In 1990 a new era began with Hugues Dubuisson, who set about gradually expanding the range, starting with Christmas Bush in 1991, followed by Bush Blonde in 1998, Cuvée des Trolls in 2000 and peach-flavoured Pêche Mel Bush in 2009. The development of the brewery accelerated in the year 2000 with the creation of two micro-breweries in Louvain la Neuve and Mons, as well as a new visitor centre and the almost complete renovation of production facilities. 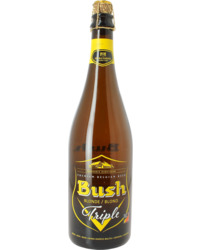 Besides the investment in the Pipaix site, Dubuisson Brewery has also developed its business in recent years, with production growing from 14,000 hectoliters in 2000 to 22,000 hectoliters in 2007. 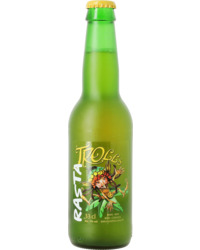 Exports have also grown and in 2008 represented nearly 25% of the total volume of the brewery, and Dubuisson now exports to around twenty countries.